Keep food and drinks nice and cool throughout your next outdoor adventure. At Ace Hardware, we have a wide selection of coolers available to suit every outdoor event. Tailgating outside your favorite stadium, relaxing at the beach or enjoying a sport from the sidelines is easier with a cooler in tow. Find the right one for your lifestyle by using the handy tool along the left side of this page to narrow your search by brand, price range, use and more! When you can't take your refrigerator along with you, grab a handy and compact cooler to keep all your items cold. Choose from our wide assortment to find the right cooler or ice chest for you. Tailgating: A day of fun calls for an ice chest you can carry along with you. Large tailgates require a cooler capable of serving everyone at the party. Pick up a heavy-duty ice chest to fill with all your drinks and snacks. Helpful hint: Find one with an easy-to-use drain to make packing up even easier. Fishing/Hunting: Keeping fish and game on ice until you get home is essential to keeping it fresh. Find options that retain the ice for long periods of time and offers the space you need for proper storage. Camping: When you're going to be away for a number of days, a cooler that stays cold longer is an absolute necessity. Look into a high-capacity cooler with double wall insulation to keep ice solid for the longest time period. Kayaking/Rafting: A day on the water requires a small, portable cooler with ultimate performance. Look for options with carry handles to easily lift the cooler on and off your boat. Make sure your cooler performs at its best. At Ace, we offer an array of ice chest accessories to keep your items safe, secure and at the perfect temperature. Instead of loading up your cooler with ice that will eventually melt, consider using an ice substitute. These reusable ice packs provide all the benefits of ice without the mess. They're even reusable so you can keep your contents cold for several trips to come. Then, chose from cup dispensers, bottle openers, fishing rod holders and beverage holders to keep every event organized. Shop our tie-down kits to keep your cooler from slipping and sliding, too. 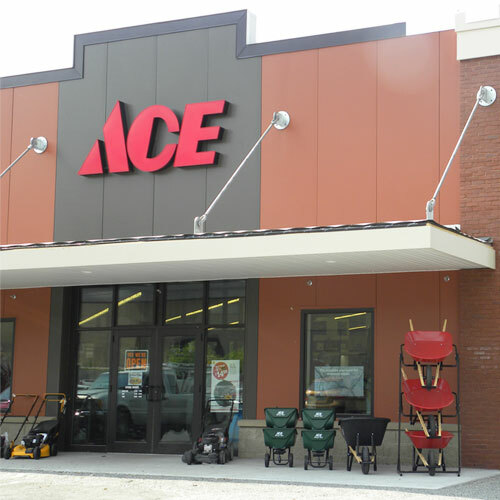 Shop at Ace to find everything you need to keep your contents cold.